Posted On August 22, 2015 by Team iCynosure. Some collaborations are worth experimenting with; especially if it brings in that additional zest in a girls style and overall look. Though there are zillion bags and kits that make claim to take you to fame, but only the ‘It Kit’ will transform you into a diva like Bipasha Basu in less than 60 seconds. Faces Canada cosmetics and Bipasha Basu come together to bring us a perfect blend of fashion and beauty essentials in the IT KIT that ensure a style makeover in 60 seconds. The signature kits personally curated by the diva herself have a range of beauty products from Faces cosmetics and statement pieces from The Trunk Label. Available in 5 different stylish combinations the It Kit is sure to find its way into your vanity case to up your style ante. 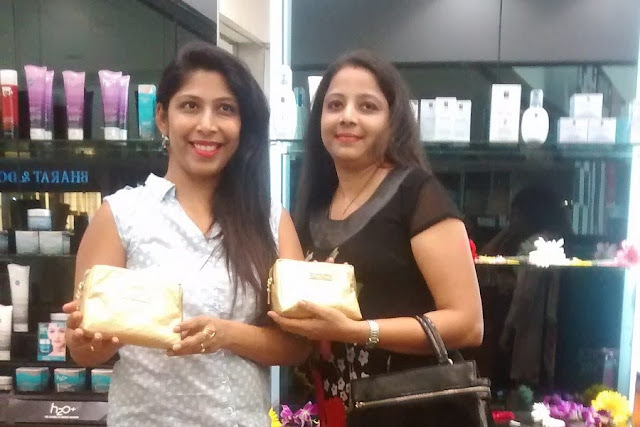 Today afternoon the brand hosted a fun meet in Mumbai and unveiled the 5 IT KITS to a group of Beauty Bloggers. Perfectly on trend with the themes are the kits designed as Floral Darling, Glam Goddess, Scarlet Siren, Azure Mermaid and Pop Princess. The travel friendly kits come in a glamorous gold pouch with an assortment of make-up essentials from lipsticks, eye shadows, eye liner, blush on, eye pencil and nail enamel and fashion essential statement jewellery. I loved the energy and vitality of the Pop Princess It Kit and here is the un-boxing just for you. The products in there make me feel instantly vibrant and beautifully carefree. Pop Princess as mentioned is actually a visit to the candy land that is full of popsicle toned nail enamels. A vibrant five runway ready colours from the Faces Hi Shine Nail Enamel range... Enchanted, Lemon Fizz, Envy, Ibiza and Fire Stick, a top coat in Invisible Mermaid and a nail enamel remover. To complete the oh-so gorgeous rainbow nails, an amaze statement neck piece from The Trunk Label called Madonna that needs no introduction or description. 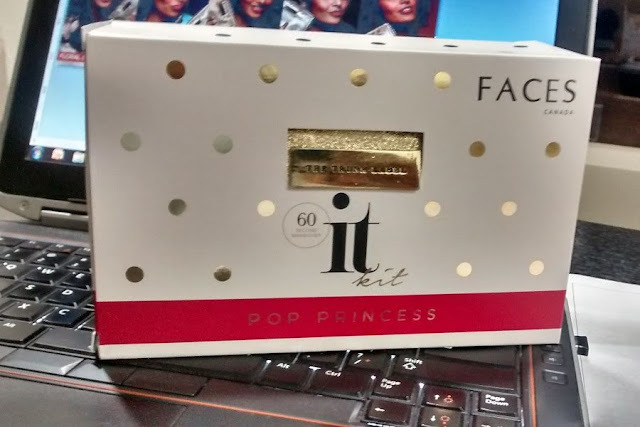 All in all I loved the Pop Princess It Kit and cannot wait to receive the other It Kits soon. If you want to get your hand on these awesome kits you can check them out at the Faces outlets and select Shoppers Stop, Lifestyle and New U outlets. 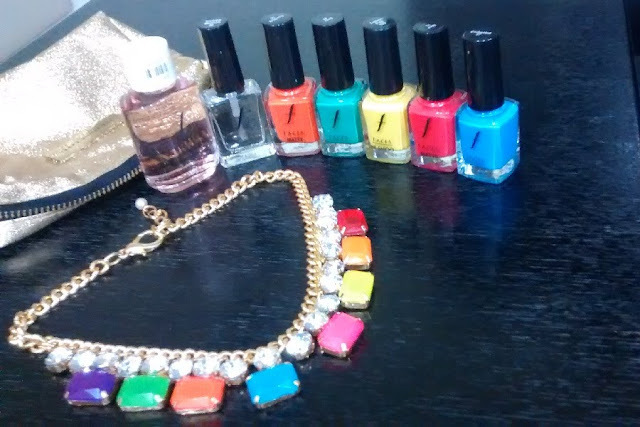 These can even be brought through a number of e-commerce portals such as flipkart.com, nykaa.com, purple.com and shoppersstop.com.